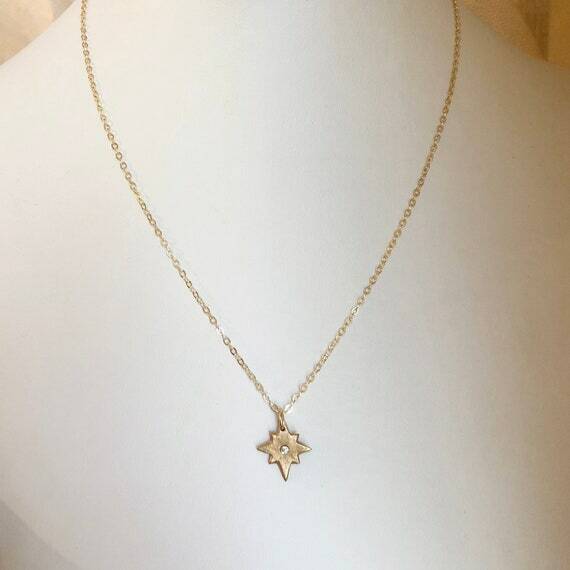 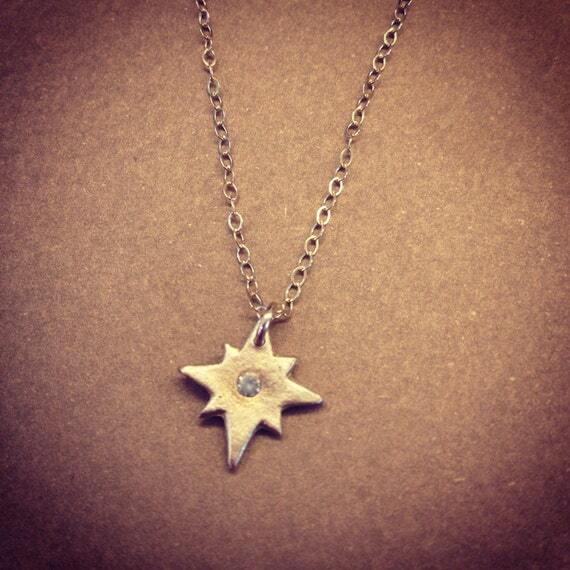 This necklace features our tiny original 8 pointed star with a sparky cubic zirconia. 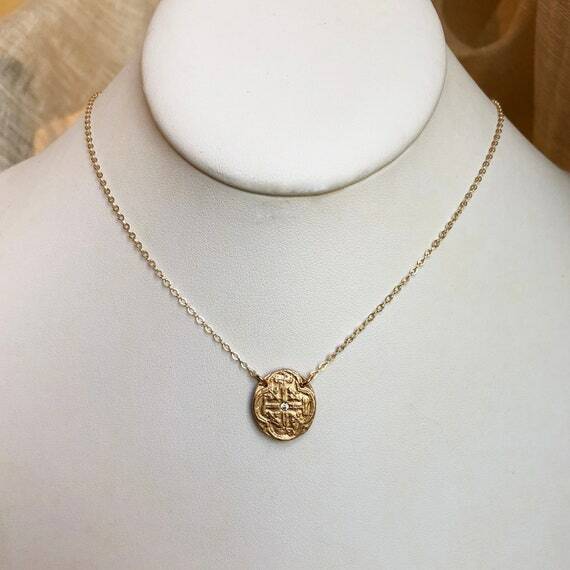 It measures 1/2" x 1/2" and is solid hand carved bronze. 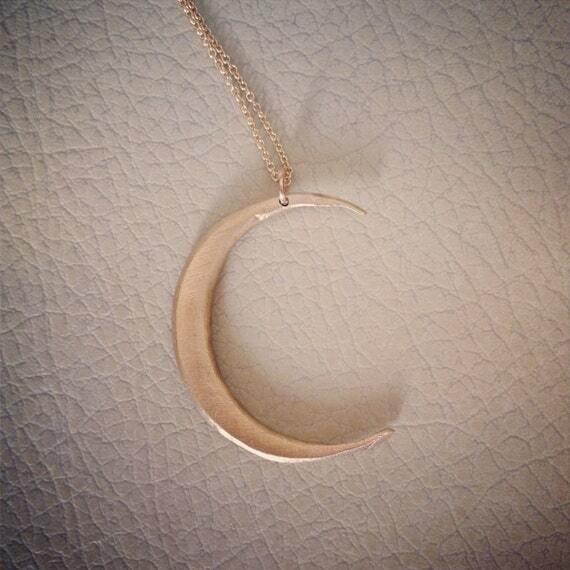 It is suspended by an a delicate 16-18" adjustable length 14k gold filled chain. 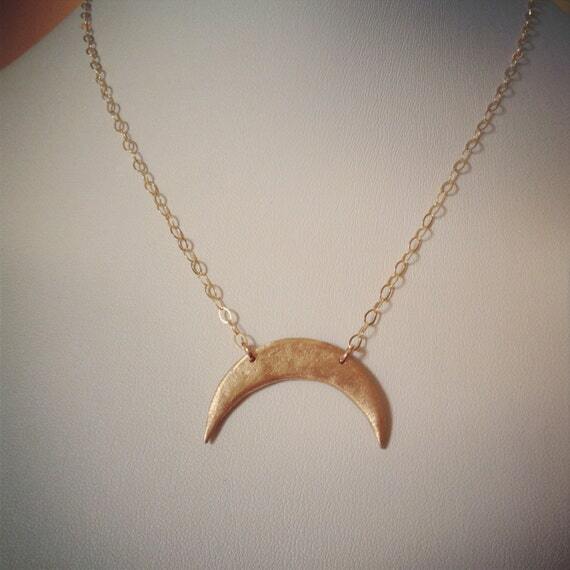 A great every day necklace!